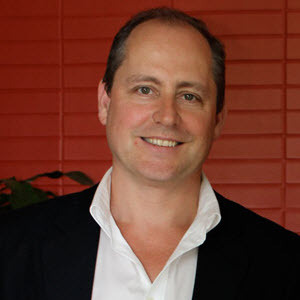 My name is Nicholas Walker, an ESL teacher at Ahuntsic College in Montreal, Quebec, Canada. 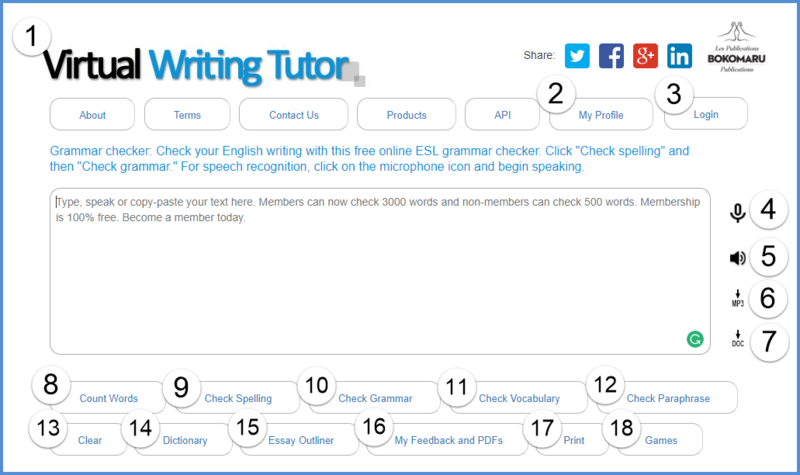 Welcome to the Virtual Writing Tutor, what I believe to be the best English Second Language grammar checker available today. I launched this website on April 5th, 2012 and I have been working to improve it ever since. It is, of course, a work in progress, but I hope over time it will prove itself to be more and more useful to English Second Language (ESL) learners all over the world. Anyone can check spelling and grammar for free. Members get additional benefits. Membership is 100% free. You have a choice. You can see feedback displayed under your text or to the right of the text. Members can create an error-free hypertext narrative and post it to a blog using HTML with jQuery or as an iframe. Membership is 100% free. Members can get help with their essays on our forum. Membership is 100% free. Members can send a PDF of feedback to someone else with comments or a score and an audio message. Membership is 100% free. Check your paraphrase against the original text with this paraphrase checker. The system will show you which words are the same and need to be paraphrased. Have you tried the Random Error Checker Game? The new interactive version of the game is located on the Games page. Update your password, newsletter subscription status. Create a free account and login. For added convenience, you stay logged in until you logout. Hear how your text is pronounced with text-to-speech. Download your text as a text-to-speech MP3 file. Download your text as a .doc file. Count your words: there is no limit to the number of words you can count. Check for grammar, punctuation and contextual spelling errors. Check your vocabulary: check for academic & conversational vocabulary, cliches and power words, field-related vocabulary (Explainer video), or target structures. Look up words in the Cambridge Dictionary. Retrieve past feedback, links to practice exercises, and PDFs of feedback you sent to someone else. Print your text and feedback. Practice correcting errors with one of two games: Correct 1000 random errors or Correct your own errors (Explainer video). Until recently, I had been correcting student errors by hand, returning assignments a week or two later. Like other teachers, it always struck me that 7-14 days was a long time for learners to wait for corrections, but with the large number of students I had in my classes, it was the fastest I could get the job done. Even then, I was concerned that my slow method of error correction was constraining the amount of writing practice my learners were getting in my courses. To explain, if it takes two weeks to correct students' writing and students expect corrective feedback on every writing task they do (or they won't do it), then the most a teacher can assign is one writing assignment every two weeks. Nevertheless, students' language development benefits from writing more often. Of course, I tried using MS Word and other automatic error correctors, but they were not particularly useful at catching second language errors in my students' writing. I then turned to Moodle and developed an extensive auto-linking glossary of errors, but the glossary filter put a heavy load on Bokomaru's Moodle server and slowed everything down. Most automatic grammar checkers miss the kinds of errors that second language learners make. They seem more focused on the kinds of errors that writers in their first language make instead. I want to remedy that by catching transfer errors, tense errors and collocation errors. While human teachers can potentially catch all of these errors when they correct assignments by hand, no teacher has either the time or the space in the margins to correct every error in a college-length writing assignment or explain at length the nature of each error. The VirtualWritngTutor can provide more detailed feedback on as many errors I program it to detect. In the meantime, there are other aspects to feedback quality that sceptics should not overlook. Hand-correction usually involves a combination of underlining, terse metalinguistic correction codes and the occasional explicit correction. The Virtual Writing Tutor does all that, too. It locates an error, provides a metalinguistic explanation of the error (not just a correction code) and suggests one or more ways to correct the error. However, the Virtual Writing Tutor goes one step further and displays a clickable link to relevant online remedial practice activities and resources. In this way, the Virtual Writing Tutor can generate a kind of instant curriculum, tailor-made for each learner and based on the learner's immediate learning needs. That in itself goes well beyond current hand-coding practices. So, all things considered, the Virtual Writing Tutor has the potential to give better feedback. I make a lot of mistake that negatively effect my writing. Thats not good. I want always to make the good choice of verbs. I want also to improve my pronunciation. My English-speaking friends talk about to help, but they never do. I work in a big store on the south shore of Montreal where there are a lot of immigrants people. I'm speaking every day to a men that works there. I think practicing with immigrants is equally as effective. So far, I have work there since 2 weeks and my English is getting more better. Also, I have learned already a lot about retail, but I will like to have a better job. I am waiting still for my first paycheck. They don't have paid me yet. When I will get paid, I will pay my parking tickets. Nevertheless if my English would be more better, I would definitely get a better paying job. I often wonder how many opportunities I would had had if I paid more attention to my nice English teacher in high school. With large class-sizes during the busy midterm period, the timeliness of the corrective feedback on writing we give our students tends to suffer. Teachers struggle to get corrections back to their students by the next class, but sometimes students have to wait two weeks. When assignments are returned, students exclaim, "It was so long ago that I have forgotten what I was trying to say here." With the Virtual Writing Tutor, feedback is instant. What could be more timely than that? In many colleges around the world, writing is taught as a collaborative exchange between student and teacher. The teacher assigns a writing task, the student produces one draft, the teacher provides corrective feedback on it, then the student redrafts the text and submits it for evaluation. Sometimes a student can feel somewhat mystified and betrayed if, after trying to respond to all the teacher's correction codes, the student then receives a low score on the essay since the teacher was in effect a collaborator on the final draft. A better way to teach writing might be for teachers to ask students to consult the Virtual Writing Tutor throughout the drafting process as just one of a variety of revision strategies. Other revision strategies might include the use of self-assessment checklists, peer-review tasks, and participation in teacher-student writing conferences. In this way, the teacher can evaluate the use of a range of revision strategies and not the student's success at responding to corrective feedback received on one draft of one essay from one source. During peer-assessment activities classmates might find it useful to submit a student's writing to the Virtual Writing Tutor to see if the revision strategy was used and which suggestions were ignored. In this way, a teacher can put the following question on a peer-assessment grid: Has the writer eliminated all major errors from his or her writing? Such a question teaches all learners in the class to be judicious consumers of corrective feedback for life. 4. It can explain at length the nature of the error, something human teachers don't have time or space in the margins for. 8. It provides unfocused feedback, correcting every error it finds without regard to the learner's readiness. 9. It generates false alarms, suggesting unnecessary corrections or providing explanations that don't always make sense.